Is It Worth Upholstering Antique Furniture? Let’s say you’ve found a gem of an antique sofa at a flea market. Or your grandmother is finally throwing away that Louis XVI chair you’ve had your eye on since you first saw it. First, you squirrel it away before anyone else gets their hands on it. Next, you seek advice from Genesis Upholstery, which has more than 30 years of experience in commercial and residential upholstery. Our primary question would be to seek out some information regarding its history. Where did it come from? How long has it been in use? If you got the furniture from friends or family, you may be able to get some honest truth, like its original cost, quality and age. You may also be able to get the same information if you buy the piece from a garage sale or store. However, if it’s a roadside find, you can only guess what indignities it may have endured. Aside from its history, your other concern should be the conditions it in which it was kept. For example, was it used by smokers? If so, understand that the residual smoke isn’t just in the fabric; it’s also in the linings and the wooden frame. In short, you may not be able to get rid of the smell. Also, find out if the furniture piece has spent any time in a basement or a garage. These small spaces have high levels of humidity as well as dampness. This means musty smells, rotting wood and mold, especially when paired with absence of any light. Without any heat to decelerate its growth, the mold uses the moisture and humidity in the atmosphere to infest the wood and destroy it from the inside out. And the only way you’ll be able to fix it is by stripping it down to the bone, treating the wood to remove the mold then rebuilding it. Finally, you should also ask if there is any bug infestation, like bed bugs since you can’t very well start a project if there are bugs to take care of first. You may consider a few alternatives. You could have the furniture cleaned, or you could throw it away. 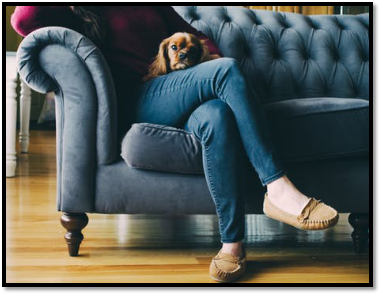 However, having your furniture cleaned won’t give the same satisfaction as upholstery, especially since cleaning it won’t magically switch those sagging cushions with new ones. For that, you need a professional reupholster to provide you with the expected results. Time is not kind to antique furniture, especially if it is not taken care of properly. Upholstering allows you to improve and upgrade the furniture’s look through a large number of choices in fabrics and combinations of colors. All you need is a professional by your side, and an eye for color. The rest takes care of itself. Genesis Upholstery recognizes your need for excellence and quality in service, and maintains the highest level of professionalism to deliver exactly that. 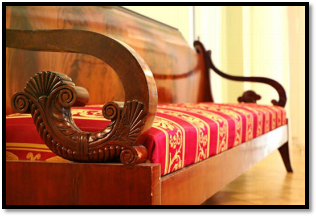 If you have antique furniture you need upholstered, contact us at (615) 568-5442. Is It Time ToHave Your Furniture Re-Upholstered? ANTIQUE FURNITURE FIVE REASONS IT IS A GOOD IDEA!